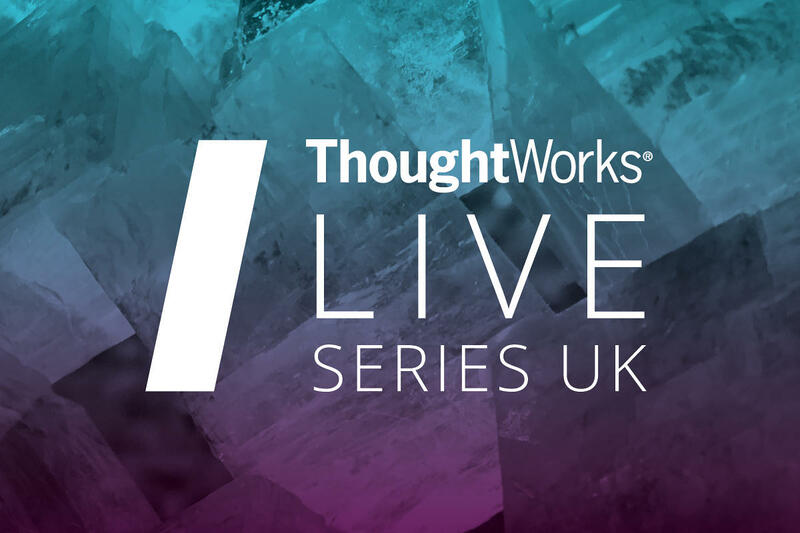 ThoughtWorks Live is a breakfast series designed especially for executives who are at the intersection of business and technology. It brings together influential thinkers who explore success strategies for the future and discuss how to tap into the infinite possibilities created by the exponential advancements in technology. Building digital business characteristics is now essential to creating new revenue and thrive in new channels and markets. Highly evolved organisations that are in a steady state of continuous disruptions are the winners. With technology improving the world around us and where the unimaginable is created in weeks, how can courageous business leaders seize the growth opportunities ? ThoughtWorks Live convenes thought leaders of the future, encouraging executives to continuously rethink and discover new means to deliver value. 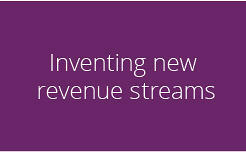 We explore creative ways of management thinking and converge them with latest technological trends. Exploring topics such as new revenue streams, data guided decision making, better customer experiences and other areas of innovation that help companies to be the disruptors. 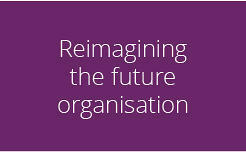 Enabling the Future Organisation. Fast. The speed at which emerging technologies are revolutionising industries is beyond fathomable, by the time companies observe, strategise and react, there is another new wave of disruption to tackle. Being responsive is not good enough, organisations need to be proactive! Staying ahead of the innovation cycles is becoming crucial to build organisations with a sustainable future. 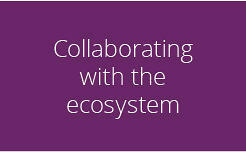 At this event we will discuss how can companies drive perpetual evolution and be the creator of change. 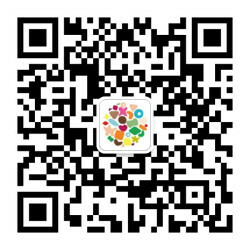 Adam Vile is the CTO of VAKT, an enterprise-level blockchain platform transforming the global commodities trading industry. He is a technologist and business leader with over 20 years experience in financial services technology, 10 of which in consulting. ﻿Adam started his career as a maths teacher, and then university lecturer before making the jump to the commercial world. He has run consultancy practices, written code, architected solutions, managed projects, consulted in all manner of technical and strategic contexts and now is at the helm of a groundbreaking project. 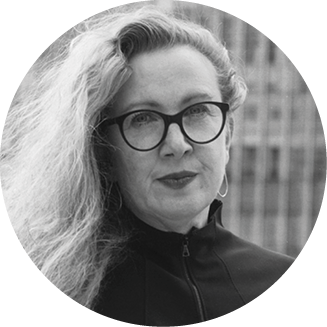 Frances Dean is the COO of the revolutionary commodities trading blockchain platform, VAKT. She is a Business Transformation and Data Management professional with 20 years experience in the Energy Industry for both Oil and Gas majors. 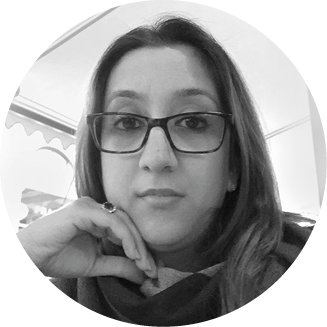 Her early energy career began in Corporate Social Responsibility from which she moved onto Business Transformation in support of software implementations and from there to implement Data Management frameworks. Having spent six years as Head of Financial Operations her interest in blockchain technology was piqued by the increasing challenges around cyber security. After project managing a very successful blockchain proof of concept she became involved with VAKT in its infancy – and has never looked back! 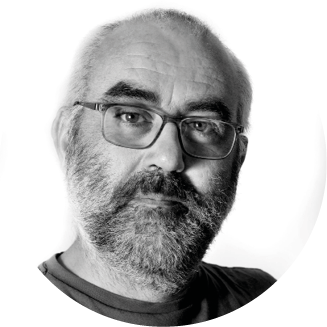 Barry O’Reilly is a business advisor, entrepreneur, and author who has pioneered the intersection of business model innovation, product development, organisational design, and culture transformation. He is author of two bestsellers, Unlearn: Let Go of Past Success to Achieve Extraordinary Results, and Lean Enterprise: How High Performance Organizations Innovate at Scale—included in the Eric Ries series & a Harvard Business Review must read for CEOs and business leaders. He is an internationally sought-after speaker, contributor to The Economist, Strategy+Business, and MIT Sloan Management Review, faculty at Singularity University and founder of ExecCamp and management consultancy Antennae. Ruth is responsible for business expansion, determining strategic direction, general management and leadership. 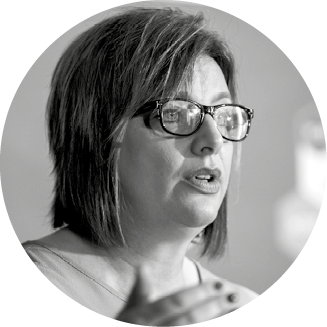 With over 30 years of experience working with leading brands in the retail sector, Ruth is passionate about helping leaders accelerate growth and achieve scale, whilst calibrating strategies for the future. Ruth is an advisor at the Regent’s University of London, a regular speaker at industry conferences and an adviser to start-ups. As an avid Tech-North advocate, Ruth dedicates her time to ‘Inspire the Future’ — a national UK charity mentoring young girls and women and is committed to help foster tech skills in the North East UK region. James is a technology leader known for bringing pioneering concepts such as microservices, evolutionary architecture and agile software development. He is an expert on lean software engineering, domain driven design, organisational design and innovation. 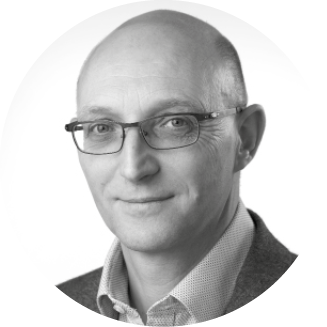 He has led several large scale digital platform development projects for leading FTSE 50 banks, insurers, retailers, publishers and media companies. He was one of the first four AWS trainers in the world. 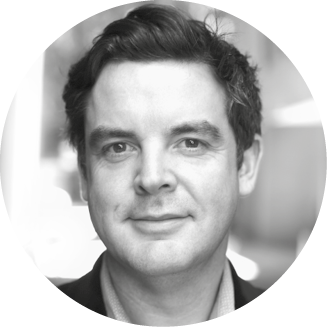 James is a member of ThoughtWorks’ Technology Advisory Board (TAB) which convenes twice a year to track the most upcoming trends in technology and predicts strategies that are shaping the future. He is passionate about sharing best practices on delivering IT change at scale. Having spent almost two decades in the retail industry, Visa is passionate about leading our clients to a new era in retail. The industry is at an interesting time, with an extremely diverse customer segmentation, retailers are grappling with seemingly herculean business transformation. 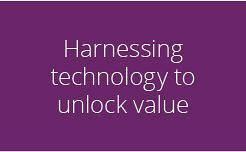 These challenges drive Visa to strategise, innovate and help them reimagine retail for a fascinating future. At ThoughtWorks, Visa works with retailers and the retail ecosystem across the globe, to enable them to leave behind the silos of their organisation and embrace collaboration, to recognise that retail is beyond the single entity and true success will emerge from co-creation and collaboration of the retail ecosystem. She calls this Alpha Growth, a growth that would lead our retail clients into the future! 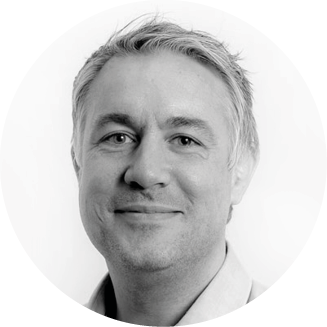 An experienced senior leader within the European Digital and Retail sectors, Kevin is hugely passionate about change, technology and achieving great business and consumer outcomes. He works alongside ThoughtWorks colleagues and our Retail & Consumer clients to develop propositions which enable them to fully leverage the benefits of technology in this rapidly changing business climate. Prior to joining ThoughtWorks, Kevin worked in a range of leadership roles in Strategy, Marketing and Commerce, across retailers such as Tesco, eBay, and MFI. He has also worked in early stage startups and a number of consultancy roles, and has an MBA. 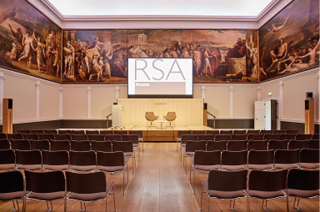 Central London’s award winning RSA House is a focal point for social change and enlightened thinking, whilst being at the forefront of numerous discoveries and inventions. This event is exclusively for C-level executives, VPs, Directors and Heads of Department whose responsibilities include: digital transformation, digital platform and automation, data analytics, change management, innovation, user experience, strategy and technology. Please note that completing this form does not guarantee your place at the event. Our team will validate your request to ensure the quality of networking and knowledge-sharing that this event promises to deliver. If your registration has been approved, you will receive a confirmation email and a calendar invitation to confirm your attendance. Thank you for your interest. We will let you know if your place has been confirmed. Please note that completing this form does not guarantee your place at the event. Our team will validate your request to ensure the quality of networking and knowledge-sharing that this event promises to deliver. If your registration has been approved, you will receive a confirmation email and a calendar invitation to accept to confirm your attendance.